ARTIE SCHILLER (USA) (Bay 2001-Stud 2007). 10 wins-2 at 2, Breeders' Cup Mile, Gr.1. Sire of 796 rnrs, 535 wnrs, 39 SW, inc. Flying Artie (VRC Coolmore Stud S., Gr.1), My Conquestadory, We Miss Artie, Laser Hawk, Good Standing, Blingo, Mr. Commons, Big Bane Theory, Anne's Beauty, I Love It, Daytona Grey, Our Mate Art, Big Chill, Vain Queen, Lady Melksham, Twickenham, Hammers Terror, Secret Liaison, Bowies Hero, Dornier, Lafontaine, etc. Maysam (f. by Al Maher). Winner at 1400m in Aust. Maheera (f. by Artie Schiller). See below. Moohariba (f. by Al Maher). 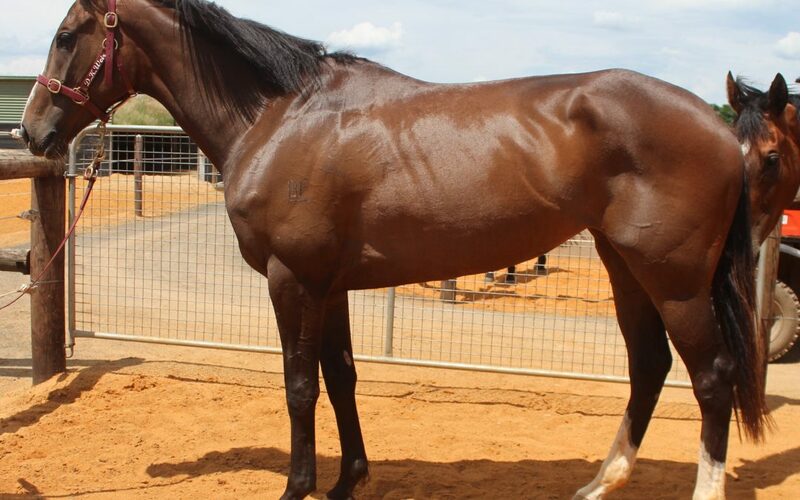 Placed at 2, 3d ATC TAB Rewards 2YO H.
MAHBOOBA (Galileo). Champion 2YO Filly in South Africa in 2009-10. 7 wins-3 at 2-from 1200m to 2400m, £20,222, US$9,901, R528,125, 2,921,750Dhs in GB, South Africa and U.A.E, Clairwood Golden Slipper, Gr.1, Meydan Balanchine S., Gr.2, Scottsville Debutante S., Gr.2, UAE One Thousand Guineas, L, Newmarket Godolphin S., L, Meydan Al Rashidiya Trial S., 2d Meydan Cape Verdi S., Gr.2, UAE Oaks, Gr.3, UAE 1000 Guineas Trial, 3d Scottsville Allan Robertson Championship, Gr.1, UAE Derby, Gr.2, Newmarket WT's Snooker & Sporting Club S.
Ewan Mine. Winner at 1200m in 2016-17, 3d MVRC Bennett Group P., NSW Tatt's RC Happy New Year P.
Mooghamir. 2 wins at 1800m in South Africa. Habibatee. Winner at 1400m in Argentina. Munyatee. Winner at 1600m in South Africa. Hoddle - Ace Aviva (Sing.). 3 wins-1 at 2-to 1400m in Aust. and Singapore, Singapore TC Class 3 H., Novice H., 2d Singapore TC Kranji C S., 3d Singapore TC Graduation S.
Sogha. 3 wins. See above. Jetscape. 2 wins at 1300m, 2200m in Aust. SLEW THE RED (Red Ransom). 5 wins from 1900m to 2400m, 1,079,000fr., US$127,733, La Coupe de Longchamp, Gr.3, Deauville Prix Gontaut-Biron, Gr.3, Chantilly Prix de la Porte de Madrid, L, Saint-Cloud Prix du Lion d'Angers, L, 2d Longchamp Prix du Conseil de Paris, Gr.2, Lone Star Park Dallas Turf Cup, L, Longchamp Prix Blangy, Deauville Prix des Roches Noires, Maisons-Laffitte Prix Chateau Bouscaut, 3d Longchamp Prix Foy, Gr.2, Pimlico Dixie S., Gr.2, Chantilly Prix de Mont l'Eveque, 4th Longchamp Prix des Chenes, Gr.3. Sire. Grenadia (Thunder Gulch). Winner at 1900m, Deauville Prix de la Chesnaye, 2d Marseille Borely Prix Georges Trabaud, L, 3d Keeneland Valley View S., Gr.3, Deauville Prix de la Beauvoisiniere, 4th Fontainebleau Prix Melisande, L, La Teste Prix La Sorellina, L.
Rich City Girl (Carson City). 4 wins from 6f to 1m, 2d Arlington Park Fit for a Queen S., L, 3d Arlington Park J J's Dream S., L. Producer. Barentin. 2 wins-1 at 2-at 1900m, 2400m, Deauville Prix de l'Epronniere, 2d Deauville Prix de Villepelee, 3d Deauville Prix du Pre au Roi, Longchamp Prix du Pre Catelan, 4th Longchamp Prix Hocquart, Gr.2. Francine (Dylan Thomas). 2 wins-1 at 2-at 1600m, Rome Premio Saccaroa, Premio Wise Money, 2d Rome Premio Epidendrum, 3d Milan Premio Mario Incisa, Gr.3, Premio Erba. SHAMROCK ROSE (First Dude). Winner at 2 in 2017, Woodbine Ontario Debutante S., L, 2d Woodbine Mazarine S., Gr.3. Bet on Mike (Biondetti). 2 wins at 6f, 6½f in 2017, 2d Woodbine King Corrie S., L.
BALDY'S DREAM (Green Dancer). 3 wins at 1m, 9f, Atlantic City McKee City H., L, 3d Monmouth Bernie Dowd H. Sire. Race Record: 7 Starts 0-2-2 A$16,125.